Clubs are great partners of the Alberta Bicycle Association. Without our clubs, we could not help promote cycling education, have races, provide learn to ride clinics, nor have coaches. 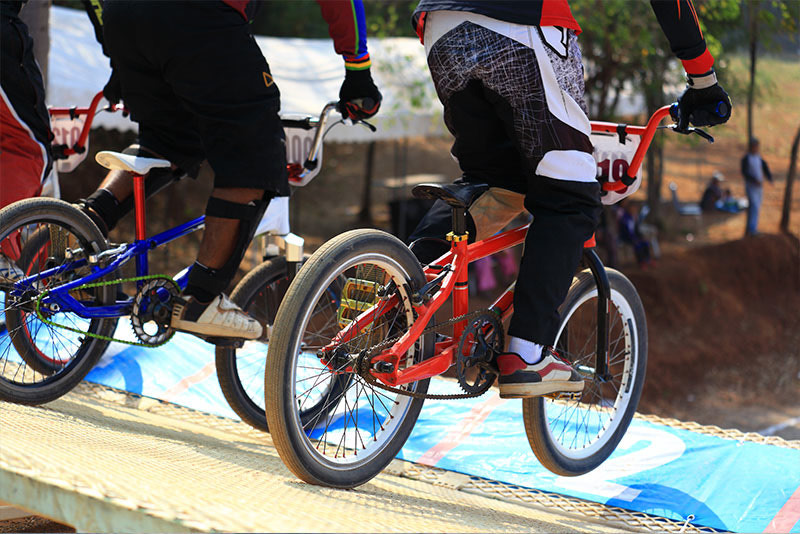 Our associated clubs host activities such as BMX try-outs, road races, Cyclo-cross rides, and bike swaps to attract new members to both its organization and the Alberta Bicycle Association. The Alberta Bicycle Association works diligently to bring a National Coaching Certification Program courses to those club members who would like to become a coach or offer a commissaire course. These programs are available to all Alberta Bicycle Association members. How do you start a club? It’s really easy once you get started. Friends and family are a great way to start a club. As well, it could be a group of coworkers who get together every week to cycle. There needs to be a minimum of (5) five people to become a club. Just let us know what kind, racing or just for fun. If you could send in a membership list, that is great too. After figuring out who are the president and treasurer, fill out the Club Affiliation form and send it in to the Alberta Bicycle Association office. The club affiliation fee is $150.00. For every racing member you have, it is $35.00 per member for insurance, for every general member it is $40.00. Once your club is part of the Alberta Bicycle Association, your club can be rest assured; there is coverage in the event of an incident. From this point your members can become general members or take out full racing licenses. They can purchase their membership on www.zone4.ca. If your club is a racing club (competitive), the Alberta Bicycle Association requires a picture of your jersey (kit). When you start a club, please note your racing members must wear these colors of your club. If you have any questions regarding affiliation, fees, and other requirements, please contact the Alberta Bicycle Association office and speak to the Membership/Licensing Coordinator. All clubs have something to offer. They are a great resource to those just starting out or those who have been cycling for years. Everyone learns and wins when there is a great club behind them. If everyone is involved, then a great network of people can find a commonality to become more physically active and have fun. We look forward to having your club in our cycling family! !